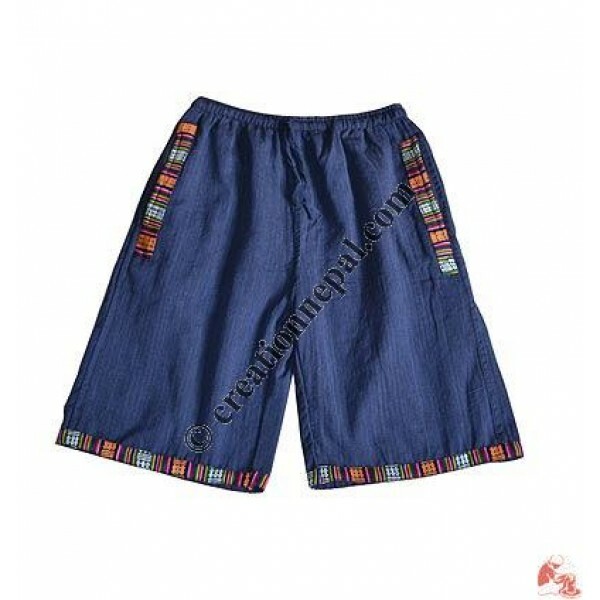 Khaddar, thin cotton shorts with Bhutani stripe cotton design patch on pockets and at the bottom. Since the product is entirely handmade; no two are alike, hence there can be slight variation in colors and given detail. Note: Write your size requirement here; we accept the order of minimum quantity 4 or any qty which is multiple of 4 in each size and color (if any) out of the added quantity. e.g. if you order 24 of this item; you may ask like S-4, M-8, L-4, XL-8.